LOS ANGELES -- A dog food company has issued a recall in California and several other states for a product that may be contaminated with a pet euthanasia drug, the FDA and the company said, CBS Los Angeles reports. The cans have an expiration date of June 2020. The cans were sold in stores and distributed online in the following states: California, Washington, Minnesota, Illinois, Indiana, Michigan, Wisconsin, Ohio, Pennsylvania, New York, Massachusetts, Maryland, South Carolina, Georgia, and Florida. 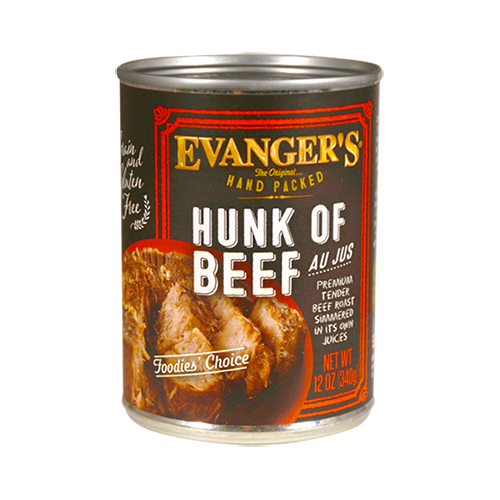 So far, according to Evanger’s, five dogs have become ill from eating Hunk of Beef. One of the five dogs died.